Fellow Pluralsight author Lars Klint has just released a recording of a user group talk he did in Denmark which was about the Internet of Things and more specifically getting started with the Microsoft Band. As a band owner myself, I have been wanting to get involved with developing against this device to read sensor data now that I have started down the Universal Windows App road, and this talk give you a good introduction so that you can get started right away. You can get started on your Microsoft Band Development journey by going to the official developer site. I recently decided to give Windows 8 a try on a spare laptop as I was keen to see what Microsoft had done with it. I normally don’t jump on new versions of Windows straight away as I don’t really have a need with the sort of work that I do. But curiosity got the better of me this time. My first impressions are generally very good. 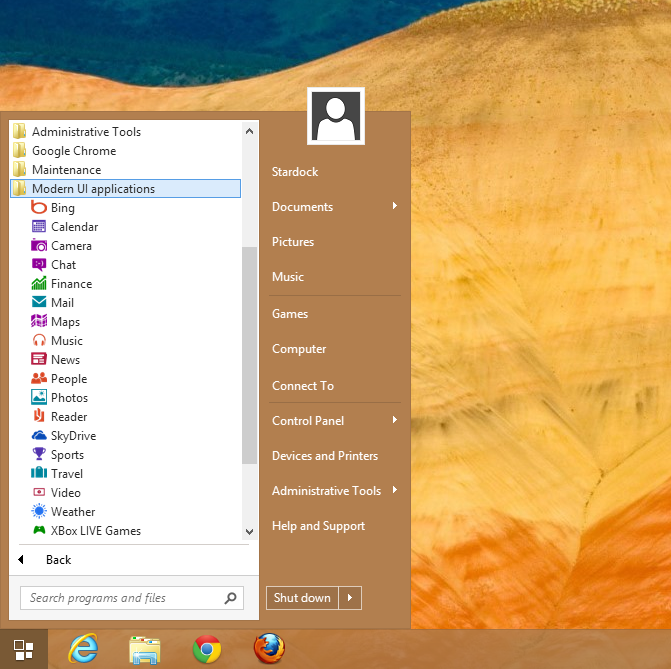 I found not having the traditional Start menu strange at first, but after a while I didn’t really miss it. What is useful is you can press ‘Windows Key + X’ and you get a stripped down version of the start menu with the important links like Control Panel, Run, Search etc. The new Tiles screen (formally Metro) is quite nice, and I can certainly see how this would be great on a tablet or touch screen. When you work on a desktop machine or traditional laptop, I find it best to think of the Tiles screen as a fancy Start Menu that you can switch too with the Windows Key. But being as picky as I am, I wanted Windows 8 to boot straight to the desktop. This is possible, but there is a little setup which is very easy to do. Just follow the next few steps and you will have Windows 8 booting straight to the desktop. 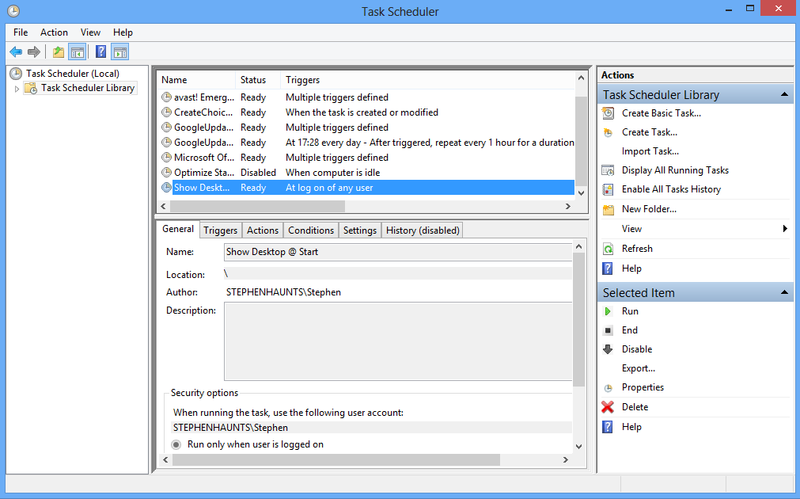 First load up the Windows Task Scheduler. The easiest way to do this is to go to the Windows 8 search bar and type ‘Task’.